It’s said that no one likes making a budget, they only like having a budget. If that’s true, then there are at least 10 apps to help make it much easier for you to not only have a budget but also to follow it. 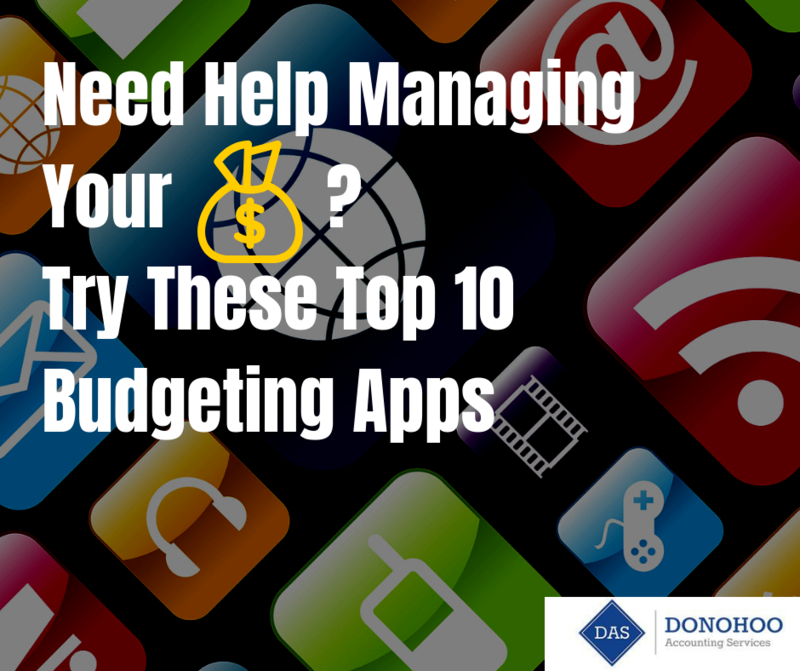 Although each of these 10 budgeting apps features slightly different characteristics, all of them have two important goals: 1) To help you understand where your money goes and 2) To keep you from spending more than you have. With these goals in mind, let’s take a closer look at each of these top 10 budgeting apps that just may help you stretch your dollars. Mint – Nearly all reviews of budgeting apps include Mint on their lists for one primary reason: It tracks everything when it comes to your money. Bill alerts, account balances, investments, loans, bank fees, credit cards, even cash transactions are all accounted for in Mint. Based on these and other factors, Mint configures your budget and instantly calculates your net worth. Nearly all reviews of budgeting apps include Mint on their lists for one primary reason: It tracks everything when it comes to your money. YNAB – “You Need a Budget,” thus the acronym. Rule #1 in YNAB is to “give every dollar a job.” Assigning your income dollars to expenses shows how much you have left for discretionary spending, saving, or getting out of debt. 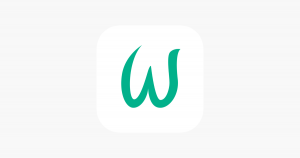 Wally – Wally is more than a budgeting tool. It’s a personal finance app. Wally performs all the budgeting functions while also helping you keep track of – and stay abreast of – your progress toward your financial goals. Wally is more than a budgeting tool. It’s a personal finance app. Simple – Just as its name implies, easy-to-use Simple tracks expenses through your bank accounts. You can set and track savings goals as well as instantly check your “safe-to-spend” amount, which keeps you from overspending. Note: Just so you don’t confuse other apps for this one, Simple is called “Simple – Better Banking” in your favorite app store. 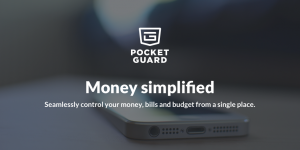 Pocketguard – Instantly providing you with the “big picture” of your finances, Pocketguard also uses a pie chart to help you keep aware of spending against your budget while reminding you of your “in my pocket” balance – the amount you have to spend minus your bills. Pocketguard helps you set and track savings goals, as well. Pocketguard helps you set and track savings goals, as well. GoodBudget – Remember when budgeting meant labeling envelopes and filling them with cash to pay your bills? GoodBudget uses the same idea but in a virtual budget program. You can track your “envelope” balances on your way to reaching your most important financial goals. Mvelopes – Using the same concept as GoodBudget regarding virtual envelopes, Mvelopes adds additional levels of service (for a fee) up to and including having the help of a personal finance trainer. 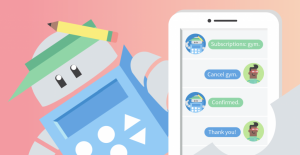 Choose from three levels of subscription budgeting service: Basic, Plus, or Complete. Albert – The Albert personal finance app – and Albert Genius, an additional service – carry out similar savings, spending, and tracking functions as other budgeting apps but with the added twist of offering a team of financial experts whom you can text with specific questions about your personal finances and spending. Trim – If your focus is mostly looking for ways to save money, then Trim is the app for you. Connect your accounts, and Trim will analyze your spending to find money-saving opportunities for you. Additionally, Trim offers automated tips to lower your monthly expenses based on your transactions. Trim offers automated tips to lower your monthly expenses based on your transactions. Everydollar – By simplifying the budgeting process, Everydollar can develop your personalized budget in 10 minutes or less, based on your account and expense input. Charitable giving and emergency fund savings are included as part of your overall plan. Because handling money – and money matters – go beyond having a budget, Donohoo Accounting can help you. We are a professional accounting services provider, dedicated to helping our clients overcome the challenges and burdens that individuals and small businesses face. Call us today at 513-528-3982 for a free consultation.